During the 1860's George Hampden Lovett of New York City issued a series of ten medals featuring the various sites where Washington had established his headquarters during the Revolutionary War. 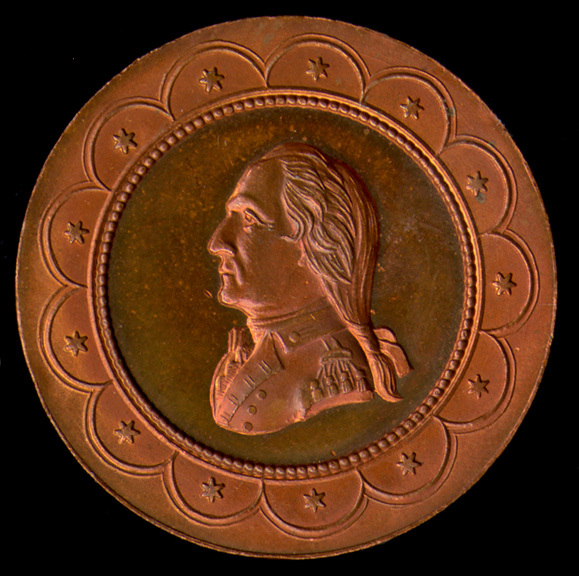 The obverse of each medal has a bust left portrait of Washington in a military uniform with the headquarters building shown on the reverse. 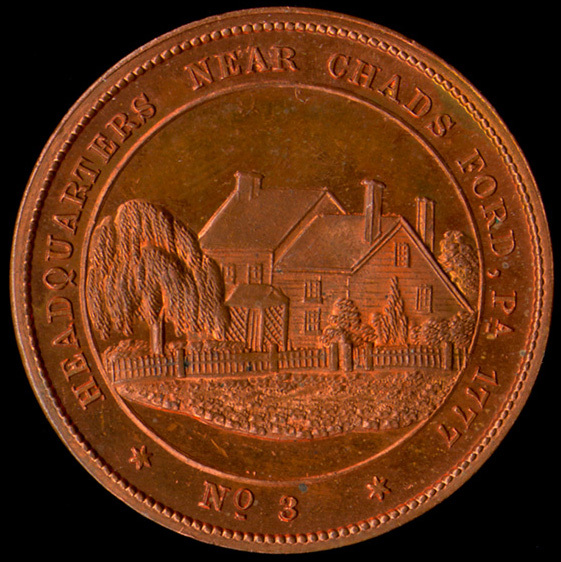 The series was issued with two varieties of obverse border designs. 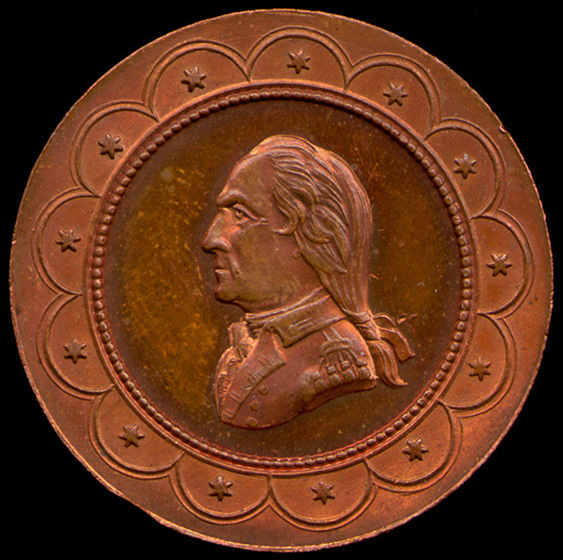 Obverse one had a geometric border design while obverse two displayed a border design with thirteen arches, each containing a six pointed star. 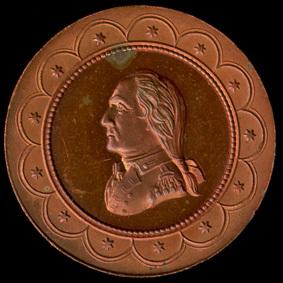 The series was issued in silver and copper. 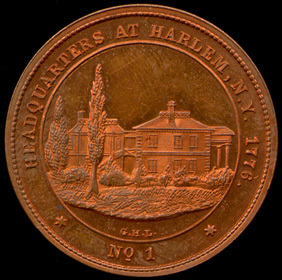 However while there are different numbers for each of the ten medals and a different designation for each of the two metals of the first obverse (Baker 184-193 for the silver and 184A-193A for the copper), there is only one number (Baker 194)to designate the ten medals with the second obverse! 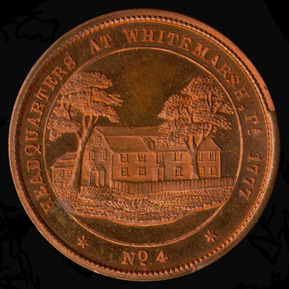 Below are eight of the ten medals with the second obverse (we are lacking: number 2, White Planes and number 5, Valley Forge) each designated as 194A with the item number from the set. 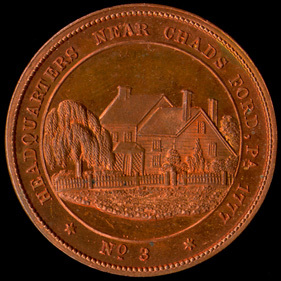 The two obverse dies were muled with several other reverses. 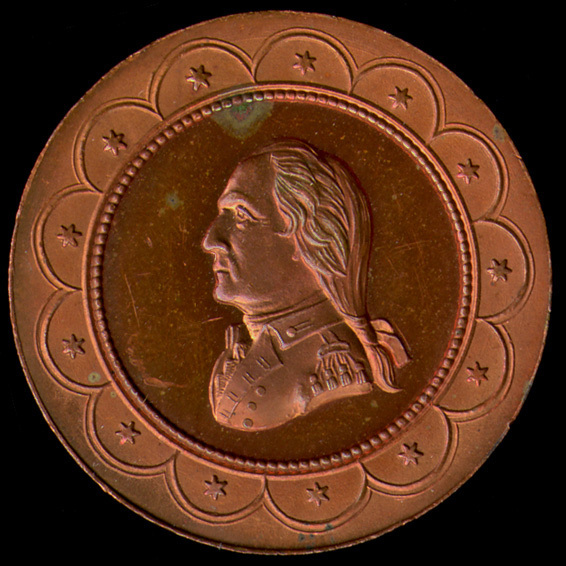 Obverse one is found with a Franklin reverse (Baker 205) while obverse two was combined with a liberty cap reverse (Baker 275). 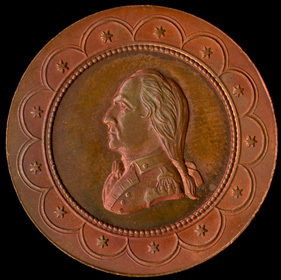 Both obverses are found muled with a reverse of either the motto MAY OUR COUNTRY NEVER WANT PROPS, TO SUPPORT THE GLORIOUS FABRIC (this is a quote from Washington) or with an undraped Washington bust, this series of mules is designated as Baker 260-263. All of these items were produced by Lovett during the 1860's. 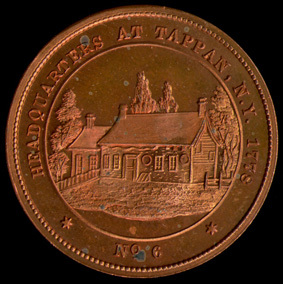 Reverse: HEADQUARTERS AT HARLEM, N.Y. 1776. [star] NO 1 [star] [signed under central scene] G.H.L.